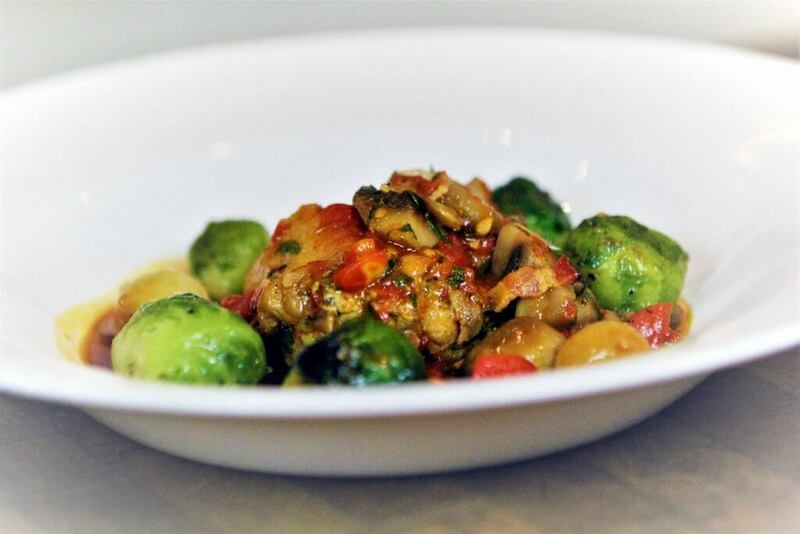 “Lapin sauté chasseur” – you can’t get more classic than this famous French dish. Mushrooms, caramelized pearl onions, and bacon are hold the flavor in this dish. If you have never eaten rabbit, don’t miss this opportunity to cook and taste something new! This class also includes a recipe for Cauliflower and Butternut Squash Soup with Cranberries.